Welcome to the fractured future, at the dusk of the twenty-first century. Earth has a population of roughly a billion hominids. For the most part, they are happy with their lot, living in a preserve at the bottom of a gravity well. Those who are unhappy have emigrated, joining one or another of the swarming densethinker clades that fog the inner solar system with a dust of molecular machinery so thick that it obscures the sun. The splintery metaconsciousness of the solar-system has largely sworn off its pre-post-human cousins dirtside, but its minds sometimes wander and when that happens, it casually spams Earth's networks with plans for cataclysmically disruptive technologies that emulsify whole industries, cultures, and spiritual systems. A sane species would ignore these get-evolved-quick schemes, but there's always someone who'll take a bite from the forbidden apple. So until the overminds bore of stirring Earth's anthill, there's Tech Jury Service: random humans, selected arbitrarily, charged with assessing dozens of new inventions and ruling on whether to let them loose. Young Huw, a technophobic, misanthropic Welshman, has been selected for the latest jury, a task he does his best to perform despite an itchy technovirus, the apathy of the proletariat, and a couple of truly awful moments on bathroom floors. CORY DOCTOROW is a coeditor of Boing Boing and a columnist for multiple publications including the Guardian, Locus, and Publishers Weekly. He was named one of the Web's twenty-five influencers by Forbes magazine and a Young Global Leader by the World Economic Forum. His award-winning novel Little Brother was a New York Times bestseller. He lives in London with his wife and daughter.CHARLES STROSS, author of several major novels of SF and fantasy including Singularity Sky, Accelerando, Halting State, and Rule 34, is widely hailed as one of the most original voices in modern SF. His short fiction has won multiple Hugo Awards and Locus awards. He lives in Edinburgh. "There's a superhuman energy and intelligence to Makers that I haven't see since mid-period Bruce Sterling." 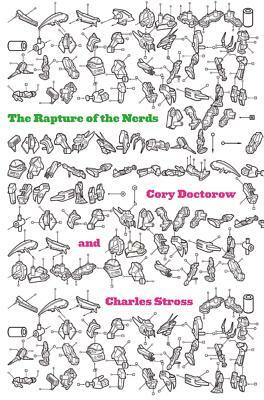 —Lev Grossman, New York Times bestselling author of The Magicians "If imagination is the key to success for a writer, Charles Stross has it in spades."